Nokia was one of the best phone manufacturers out there till 2010, and people used to buy their phones many because the phone easily lasted for at least 3 to 4 years. But then Android came, and Nokia was forced to get out of the way due to its choice of Lumia phones with Windows. Now it’s the comeback time for Nokia, and with the comeback of the company, people have begun expecting even more from Nokia. People usually forget the 10 races you lost and remembers the 100’s of races you won. So it’s the same case, people remember the Nokia 3310, the Nokia N8, the Nokia N72, the Nokia X7-00, and there is a huge list of devices from Nokia. But do we remember the Lumia 635? Was there any 635? Was it Lumia 535? Ahh, forget it. Now Nokia is here with Nokia 3 which is a budget level smartphone from Nokia and is priced at a somewhat competitive price here in India. From last 2 to 3 year in the smartphone industry, the buyers have become more aware and are looking to get the best phone for their money. But to get the Nokia tag on your phone you have to pay a premium, and we must not forget Samsung, HTC, Sony. They used to stay behind Nokia and hence Nokia is having a much better fan base, much better reliability and hence paying a bit more premium price to get a phone from Nokia can be somewhat justified. But to get the Nokia tag on your phone you have to pay a premium, and we must not forget Samsung, HTC, Sony. 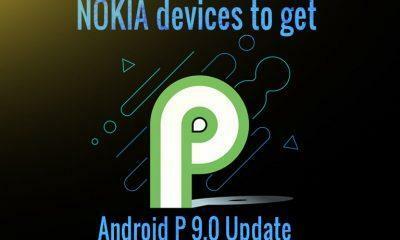 They used to stay behind Nokia and hence Nokia is having a much better fan base, much better reliability and hence paying a bit more premium price to get a phone from Nokia can be somewhat justified. Lets now talk about the Nokia 3 which was debuted alongside the Nokia 5 & the Nokia 6, let us start with the display of the device which is the very first component that one would notice in a smartphone. 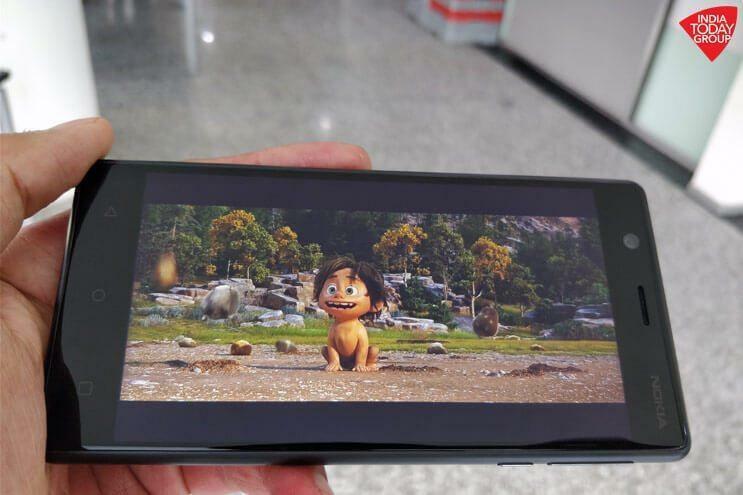 The display on the Nokia’s budget segment device is just like we would find on a budget Galaxy device, it’s a 5-inched panel with HD resolution which is low by today’s mean, but it is something that we will have to deal with as after all its a device in the budget segment. Another downside on the Nokia 3 is going to be the brightness levels which are simply not that great and overall the phone will not allow you to have a good look at the display when you are out at 12:00 noon. You will have to find a shade if you need to use your phone out in the market. We cannot after all complain much as of now because this is just the very first device from Nokia since its debut. And hence we must give Nokia a bit of time to adjust to the market and get us the best for the price tag taking a bit of premium over it and then to giving out the best. The phone comes with a conventional LCD panel which is not going to give the vividness of an AMOLED panel, and the viewing angles will also not be that great. The Nokia 3 as of now is not having any blue light filter option assisted as of now as it is running a complete stock Android, but we might find one in the future via a software update. HMD Global the parent company of Nokia has tried to retain some of the main concepts from the Lumia series of Nokia which seems quite legit. If we see the Lumia series was each time something out of the box and differentiate its each product from any other Android smartphone lineup. So if Nokia follows the same, they are having a different approach in the market. Nokia was famous for its excellent build quality, and Nokia proved it many times. I used to own a Nokia X7-00 which was dropped many times, and it was still intact. And now HMD Global is trying to implement the same with the Nokia 3. The Nokia 3 also have the same build on the phone which the old Nokia’s had. Hence if you are getting the phone for your careless brother or elders who are a bit careless, then it will easily be alive for at least next 2-3 years unlike the delicate phones from other manufacturers which will make its way to service centres after 2 or 3 drops. Each time you are going to see the Nokia 3, you will be feeling nostalgic and will also get a sense of premium feel. The phones come up with a matte finish polycarbonate back which remains free from smudges and fingerprints and apparently feels premium. The Nokia 3’s frame is made up of metal which not only adds to the premium style factor of the device but also does applies to the overall rigidity of the device. Nokia 3 comes with almost everything that made Nokia great — superb build quality, classy and premium looks and peace of mind. The Nokia 3 may not be a faultless phone, but it is more important for what it signifies and that is the revival of an icon. Nokia is well and truly back. Let us also talk about the placements of the button on the device, on the right edge the phone comes with a volume rocker and a power button both are made up of premium material, and the button does feel tactile and does have good travel. One of the best parts that Nokia did with the Nokia 3 is that they kept the business of the SIM card and microSD card in two different cabins. There are two separate tray for SIM and micro SD slot which means that there is no need for us to worry if we need to use other SIM or an SD card for expanded storage. 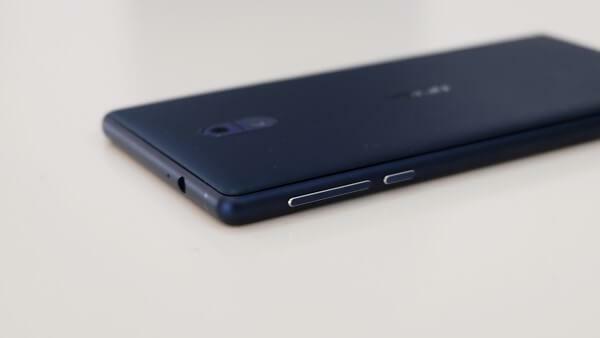 The phone does feature a 3.5mm headphone jack which is on the top, and it even has a secondary noise-cancelling microphone, then at the bottom, there is a primary microphone, loudspeaker, and even a microUSB port, yes the company is still having the old USB port and not the USB type C.
Nokia 3 comes with an 8MP shooter which has an aperture of f/2.0 and an ordinary white colored LED flashlight. The phone is just around the average mark in the camera performance, but it does excel in quick focusing on objects. In Macro shots, the phone churns out a decent amount of details and sharpness. The Camera performs somewhat good in outdoor lighting, and the images turn out soft maximum times, although the colors produced by the sensors are natural. HDR mode on the stock camera works great and does gets us more details in the darker parts of the images and even helps the super exposed parts to get a bit better. The HDR mode does have a downside that it adds a bit of yellow tint to the images, but we do feel that it might be fixed by a minor software update. In Low-lighting conditions, the camera struggles to focus on objects, and the images come out having lot of noise, but most of the times the images are good enough to be used for your daily insta-stories. 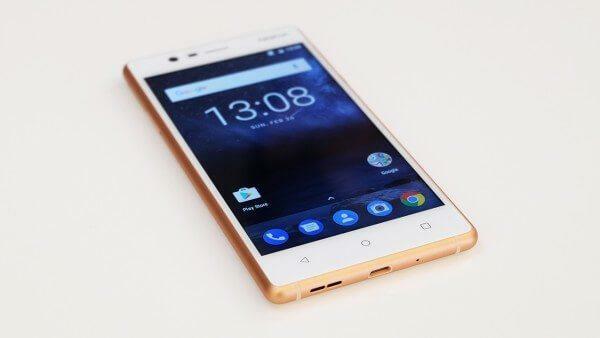 One of the major downsides of the phone is that the video recording allowance tops up at 720p which is just HD resolution, but we cannot forget that the Nokia 3 is just the budget offering from the company and we will have to miss out on much of the materials. The rear 8 MP sensor is average, but the front camera which also houses an 8MP camera outlasts the 5MP camera found on the Redmi Note 4. 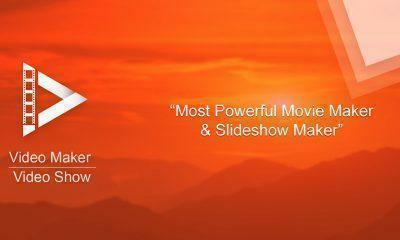 The phone is a budget segment device, and hence there is no LED flash available on the front. The images from the front sensor are good when we are taking pictures in good lighting conditions, but at night they tend to have noise are not usable for your family albums. HMD Global on the performance side made a huge compromise. Nokia 3 is coming with a MediaTek MT6737 chipset which is a Quad-core chip clocked at 1.3Ghz and is coupled with 2Gigs of RAM and a Mali T720 GPU, as we know MediaTek chips are not that powerful and this chip is not enough to play any mid-power game too. The phone does give a few frame drops even while using it. 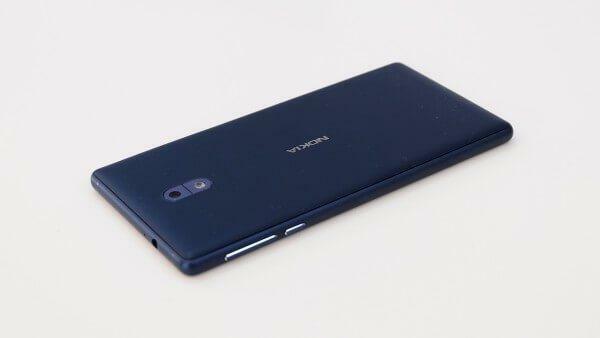 One of the best thing done by Nokia is it didn’t skip on any of the sensors and also gave a decent internal storage of 16 GB considering the price range. One of the rarest equipment of the smartphone of this price range is the NFC tag which is important for phones to make payments via Android Pay, hence Nokia 3 is compatible for Android Pay. The phone is good enough to do your casual browsing, and have a regular chat with your friends who don’t send you any Whatsapp bombs because this phone will not be able to handle it and will go out of memory instantly. The phone will also be good to play games like Subway Surfer but will sure miss out some frames when you are at a higher level and go to beat your friend’s high score. With this, we are clear the phone is not for any geek and does not come with any gaming material on the hardware side, and hence the phone is best enough for persons who are in the market most of the time and have a heavy use of calling and battery. Lava, Karbonn, etc. sell in this price bracket, rather than Redmi, LeTV, and other Online Exclusive devices. The phone comes with a tiny 2,650 mah battery which is not great if we had any other custom OS on it. But the phone runs on stock Android, and Nokia did a great job on optimizing the software for the phone, it still might not be comparable with the like of Redmi Note 4. The phone can last a full working day with tons of calls, and as the battery is really small, it takes just 2 Hours to charge from 4 or 5 % to 100% on a regular 1Amp charger with which the phone comes with. At last, the phone is a great device to have in your hand. If you are tight with budget and you need a phone from Nokia for that Nostalgic feel, then this is a great device. But we will still suggest that if you can stretch your budget and can go with Nokia 6, as it is a far better device.